Willow of wishes A spoken wish is a half made wish. Your Indian Card? The mystery of your life journey is in Indian cards! Horoscopes 2019, free gypsy card and Tarot readings and more! 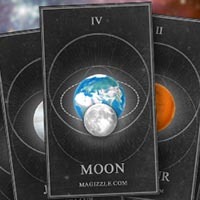 Fortune reading, free Tarot, Gypsy cards reading - magizzle.com! Horoscope 2019, Tarot reading, fortune telling and much more! Destiny can lead us into situations, where we desperately seek for any help. There are many ways of fortune telling and we try to offer you the most known of them. It's up to you, how you choose to deal with the information you find here, but remember: it's you, who is holding your destiny with your own hands. Start with the popular Free Tarot reading, the Gypsy card reading or read about angels. 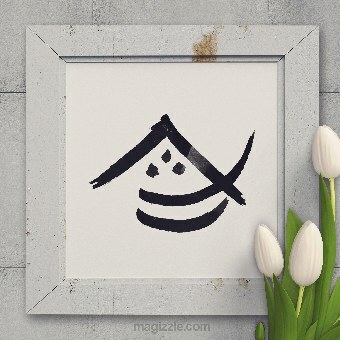 Chinese horoscope Five elements, each of which having its own meaning. There are lots of ways how to interpret card reading. We offer you free most well-known ways of interpretations. Tarot Yes/No Question The most frequent way to get a clear answer. Your Indian Card? The mystery of your life journey is in Indian cards! Three on your question Get a YES / NO question on your specific question. Method called "7 days" Get your own prediction for the next 7 days. Numerology of your name Every letter of your name is shaping your reality. Hand of Fatima What is and what means your name numeric value? Geomancy Future reading from geomantic symbols. What tells the dice? The moment of coincidence determines our future. Luck of matches Get your prophecy from matches. Runes Uncover magic powers of Runes in our online reading. Magical wordfind The first word will symbolize your tomorrow. 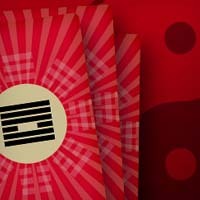 I-ching prophecy Open your mind to life's unexpected twists. Magic Fortune Cookie Be inspired by the mysterious fortune cookie. The Death clock Wondering how long you have been in this world? 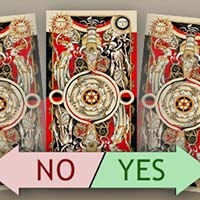 Tarot Yes/No Question The most frequent way to get a clear answer. Cosmic cards Connect with the laws of celestial mechanics! I-ching prophecy One of the methods of the fortune-telling is using six coins.